Formula One is the pinnacle of motor racing in the world. It features the fastest race cars on the planet, driven by only the very best drivers the world has to offer. These drivers and their teams battle for victory over the course of 20-odd races. At the end, one driver is crowned the champion, and 0pne team wins the contractor’s championship. 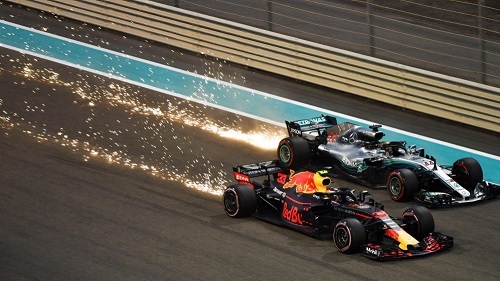 The 2019 season, which kicks off in Australia in mid-March, will see the likes of Ferrari, Mercedes-Benz, and Red Bull fighting for the constructors’ trophy. The top drivers, including Lewis Hamilton, Max Verstappen, and Sebastian Vettel, will all be battling for the drivers’ championship. Gambling 360 has put together a complete guide on betting on F1. We’ve got all the information you need, including some helpful tips and tricks. We’ve also got some of the early F1 odds for the 2019 season, so you can start placing your bets early! When it comes to betting on F1 races, it’s important to know your stuff! Those who have great knowledge about the sports they bet on, typically do better than those who do not. Still, this is racing and anything can happen. It’s always important to look to the past to better predict the future. With Formula One, this is important as a driver or team may favour a particular circuit. This means it is important to look back at the past results for a particular race. We’re not suggesting looking back 10 or 20 years, but it’s good to look back at the last four years or so. You may notice a driver always does well, or one team has won almost all of the races there. This can help guide your bets. It is also important to follow all of the practice sessions and qualifying, before betting on the race. Maybe the one practice sessions saw rain, which is expected again during the race. It’s also a good idea to look at who gets pole position. Overtaking has become quite difficult in Formula One and this often gives the pole sitter a good chance at victory. However, the rules are being changed for 2019, with the intention to make overtaking easier, so who knows how this will change things. It’s still a good idea to look at this though, especially for some tracks where the layout of the track makes overtaking almost impossible. Examples of this are Monaco and Hungary, where overtaking is almost impossible. At these tracks, the pole sitter has much better odds of winning. The 2019 season will see 20 drivers, from 10 different teams fighting to win. Gamblers will be able to bet on a driver’s performance at individual races and the odds for these events will be published by sportsbooks closer to the time. The big question at the moment is, who will win the drivers’ championship in 2019? Lewis Hamilton has been almost unstoppable since 2014. The only year he didn’t win was 2016, when he lost to his teammate. Everyone will be wondering if anyone can stop Lewis in 2019. He had a tougher time in 2018, with a strong challenge from Ferrari for the first half of the season. Unfortunately for the Italian team, they crumbled in the second half and Lewis quite easily won the title. But, what will happen in 2019? It’s no surprise that currently Hamilton is the title favorite. Most sportsbooks have the odds for Hamilton winning at around -138. Vettel currently has the second-best odds, of +333. There is quite a difference between the odds so sportsbooks don’t seem to think the competition will be that close. If you fancy Hamilton to win, place your bets soon because those odds will likely shorten as the season goes on. Since F1 moved to the turbo engines in 2014, Mercedes-Benz has absolutely dominated the sport. 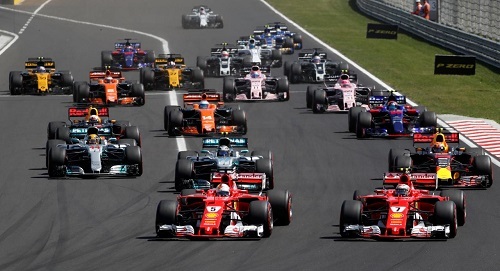 Ferrari stepped up the challenge in 2017 and 2018, but ultimately the German team was still able to come out on top. So, what about 2019? It’s not surprised that Mercedes are the title favorites. The odds of them winning are -63, while the odds of Ferrari winning are +275. Red Bull is not too far behind, at +350. Red Bull are a bit of an unknown because of their switch to Honda engines and no one is entirely sure how they will perform. In addition to this, there have been some rule changes for the 2019 season and this could shake up the championship. Only time will tell. October 13th Japanese Grand Prix.